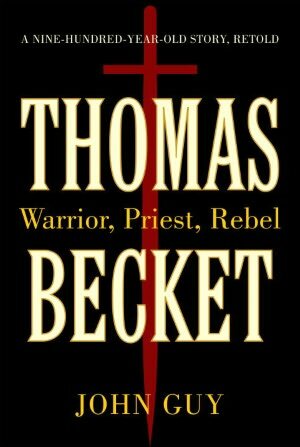 In his public life after death, Becket has assumed an iconic status for those seeking to defend religious liberty per se. Becket himself (like Thomas More) would have found that a rather strange notion. Becket’s concern was with the church’s freedom from undue temporal interference, rather than a more general conception of religious toleration. That development had to await, among other things, the wars of religion and what none other than Benedict XVI has described as one of the American Revolution’s many positive results. In the Catholic Church’s case, it also required careful rereading of scriptural, patristic and scholastic sources in order to recover Christianity’s original affirmation of religious liberty in the sense of immunity from coercion and as a necessary precondition for freely embracing religious truth. And yet as Islam’s present traumas should remind us, a religion’s capacity to make distinctions between the spiritual and temporal realms makes a difference to the more general growth of freedom. As Guy points out, Henry VIII’s looting and destruction of the sanctuary of St Thomas Becket in September 1538, his burning of Becket’s remains, and the king’s posthumous designation of Becket as a “rebel and traitor to his prince” had a clear political purpose. “Only a monarch not unlike the earlier Henry,” Guy writes, “set on building a regional church under tight royal control, ring-fenced by the coast, as an integral part of a centralized state controlled by himself, could have spoken that way” (348). It was of course the voice of tyranny, for which libertas ecclesiae and the life of Thomas Becket never cease to serve as constant reproaches.